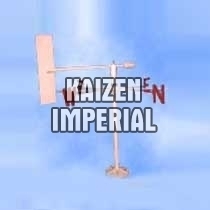 We are reckoned as the prominent exporter of quality Wind Vane that is used for measuring direction of wind. It consists of a compass that point in the direction of the wind (South, West, Southwest, etc.). User can plot the direction of the wind every day with a special graph called wind rose. Our Wind Vane are manufactured as per IS: 5799:1970 and can be availed at the most economical prices.